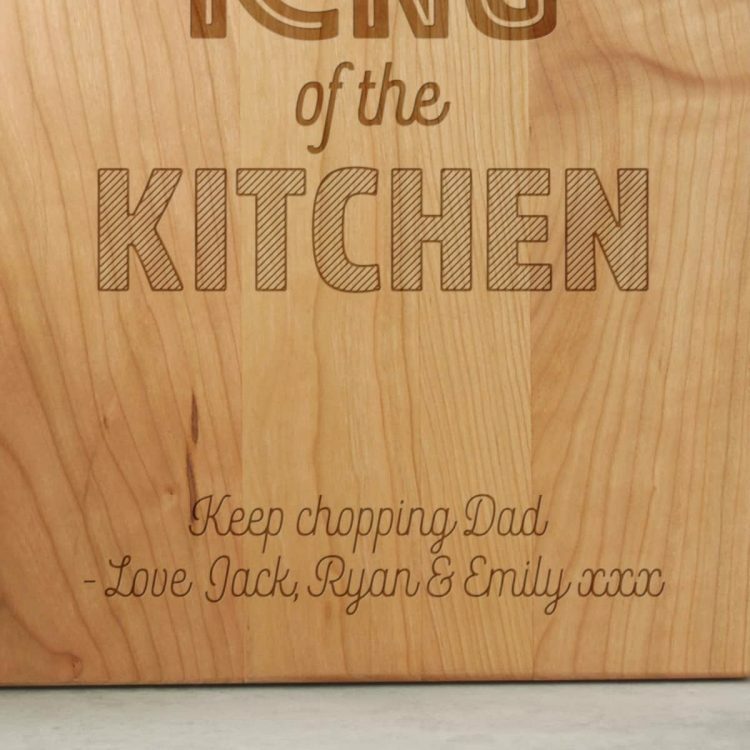 Make him King of the Kitchen this Father’s Day with this finely made chopping board. 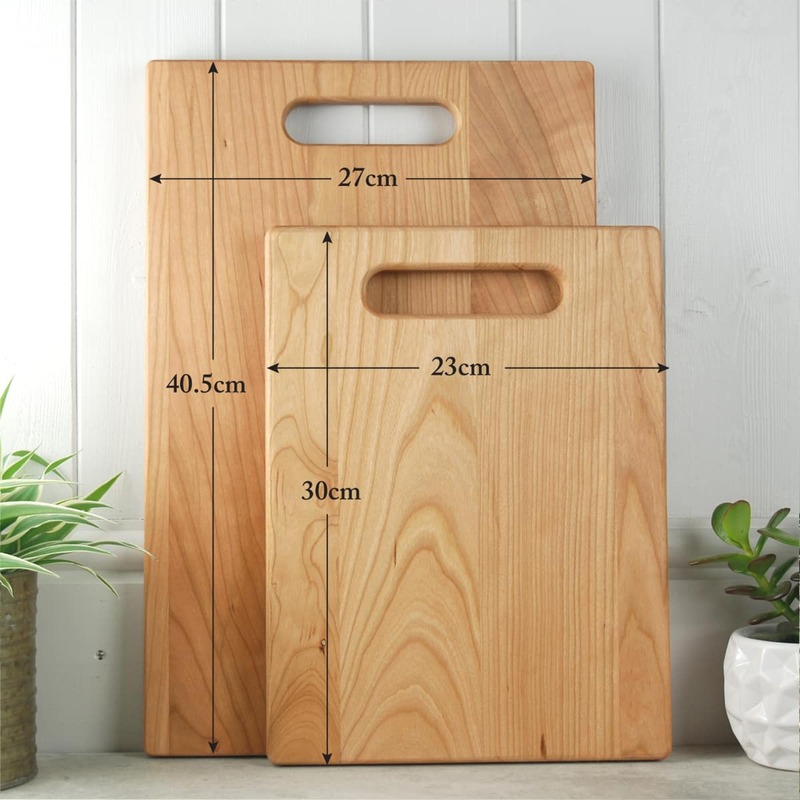 This exquisite chopping board will be the centrepiece of any kitchen or dining room. 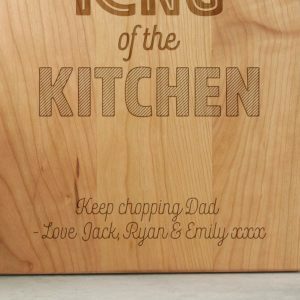 It is perfect for a special father’s day gift, gift for grandad, birthday gift or just a treat for you. The beautiful natural grain and smooth finish of these of natural wood chopping boards make them a pleasure to use. 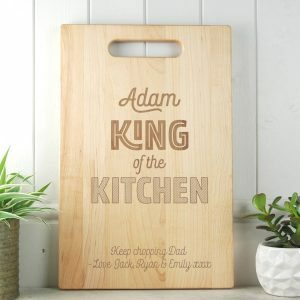 Use one side for display and the other for cutting and look even better when displayed in your kitchen. 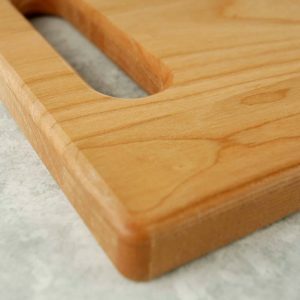 Can be used as traditional chopping boards or even as a serving plates for breads, cheeses, cold meats, antipasti, desserts, etc. 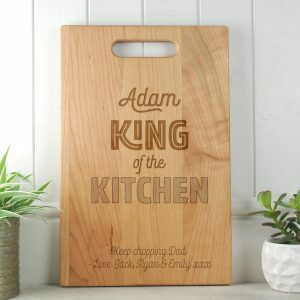 Handmade to a very high standard, they can be hand washed with hot soapy water, and left to dry on the worktop (never put in the dishwasher!). Treat with mineral oil or your preferred cooking oil from time to time to keep in perfect condition.